It’s a really young tree. 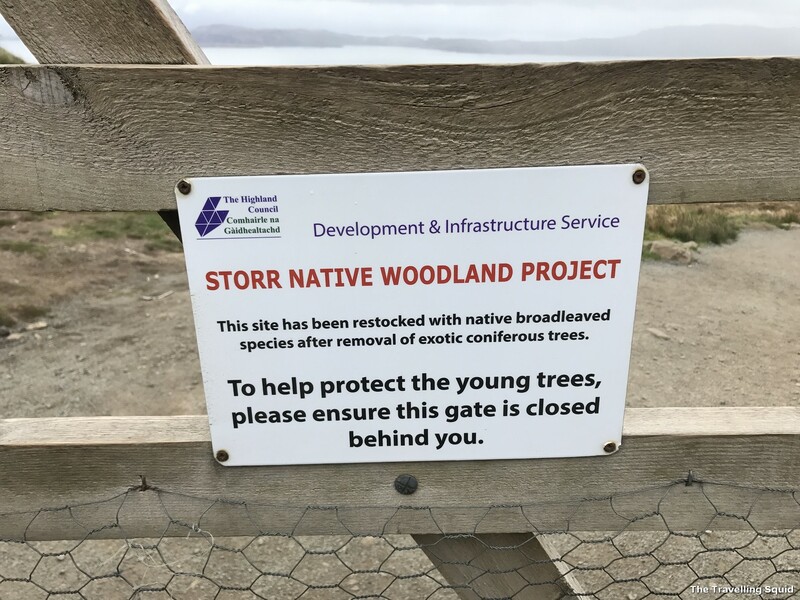 However, as we were walking through one of the gates, I came across a sign which said that this was under the Storr Native Woodland Project. It said that the site had been restocked with the native broadleaved species, after the removal of exotic coniferous trees. To help protect the young trees, the sign asked that trekkers close the gate behind them. 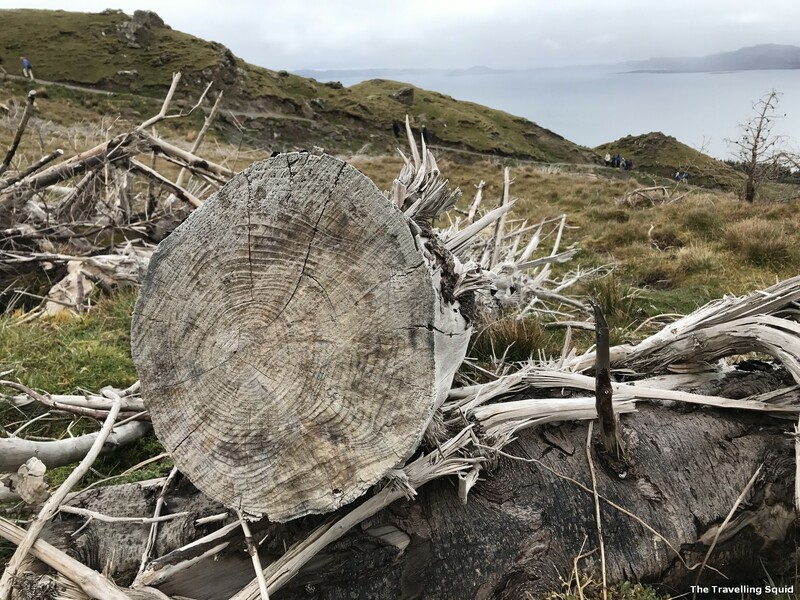 Tree felling and harvesting has begun at Storr Woodland, north of Portree on the island of Skye. 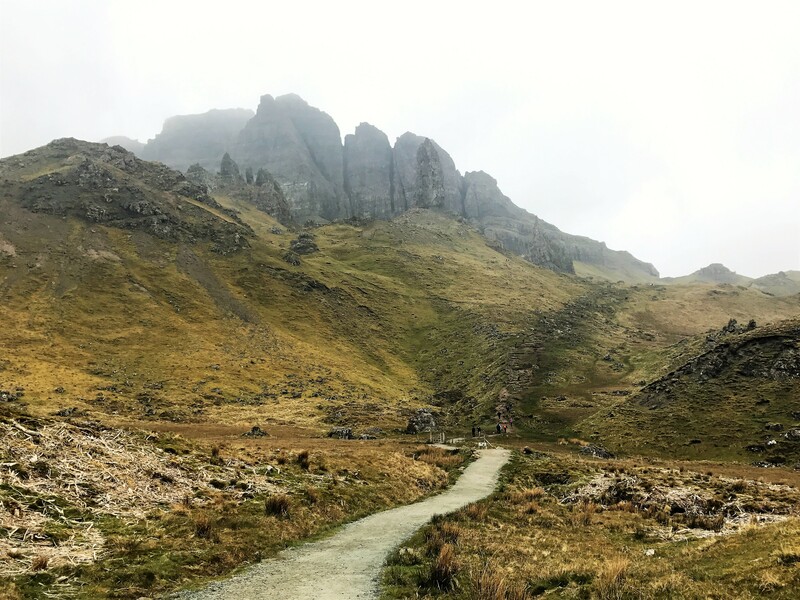 The woodland, which lies immediately below the Old Man of Storr, extends to some 82 hectares and currently carries plantation forest. 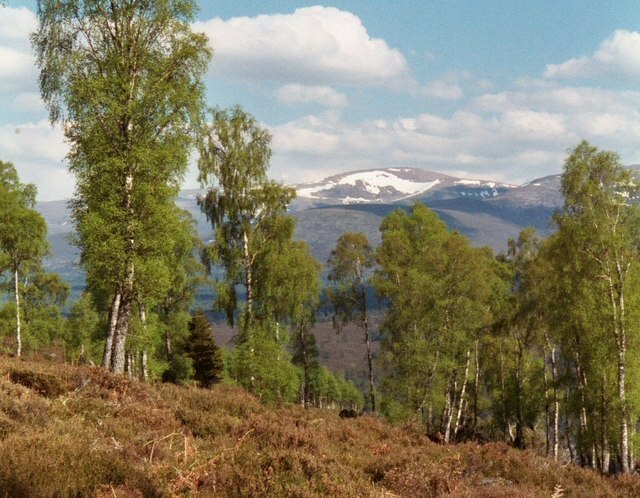 The trees were planted in the 1970’s and consist primarily of non-native coniferous species with very small areas of native broadleaf woodland. 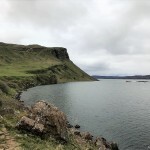 Timber haulage through Portree will be restricted to three loads per day in order to minimise disruption on a daily basis. The Council now intends to manage the woodland for continued public access and native woodland restoration. 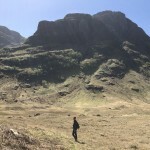 Once harvesting is complete, the site will be appropriately restocked with native species such as birch, willow and alder. 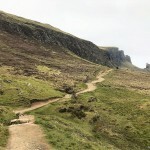 Storr Native Woodland Restoration Project is funded by the Council within its capital programme. 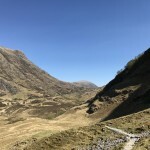 The Council’s allocation of £100k will be supplemented by grant aid of £40k through the Scotland Rural Development Programme. The value of timber from the site is estimated at £75k, which will be reinvested in site improvements as part of this package of works. 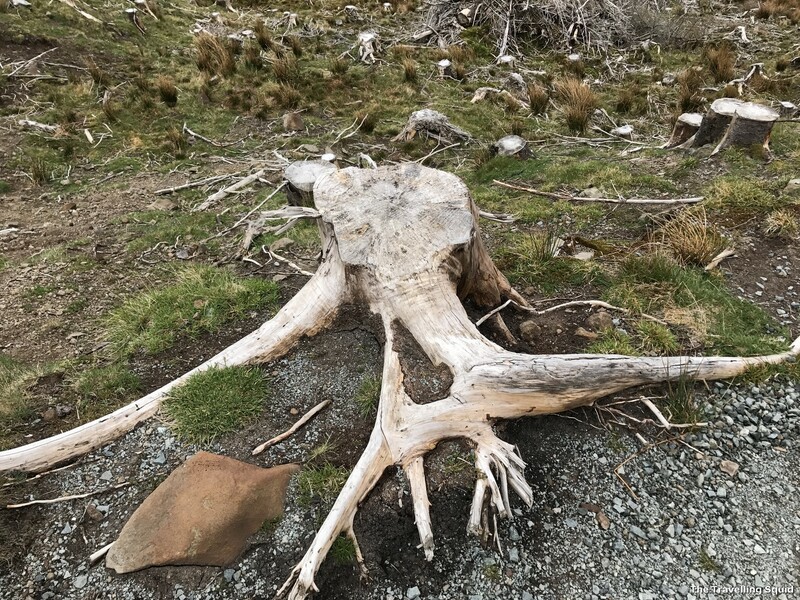 The felled trees of Storr. Objectively, I can see why the restoration of native trees is important. This allows ecosystems to regenerate, attracting back local wildlife, retaining the original character of the place. 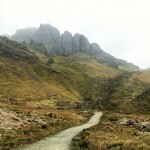 In the longer term, it may actually be effective in returning biodiversity to the area. 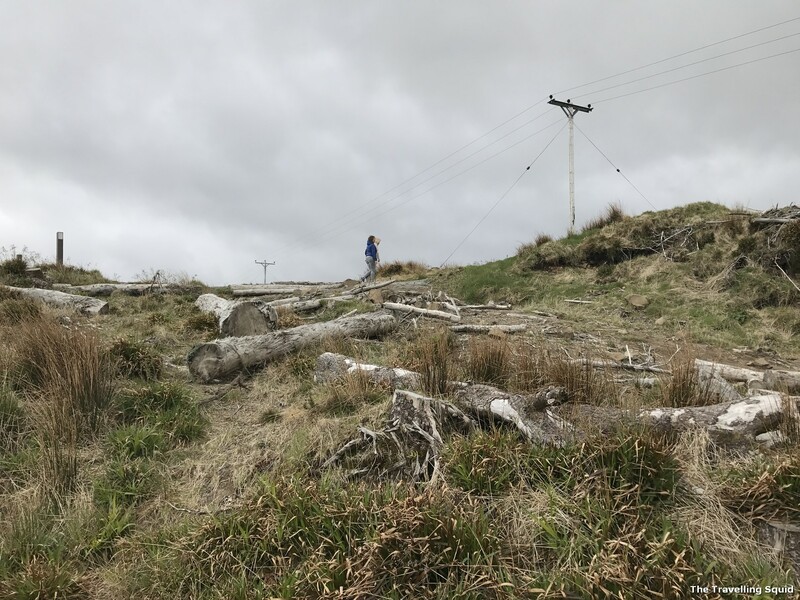 That said, it would have been helpful if the tourism board of that area could put up signs, explaining why the trees were cut down, as it can get quite worrying and a tad depressing to see the remnants of young trees dotting the landscape. Bleak and desolate landscape. Looks like it’s from the scene of defeat from the Lord of the Rings movie. I thought it was good that timber haulage through Portree was being restricted to three loads per day to minimise disruption. 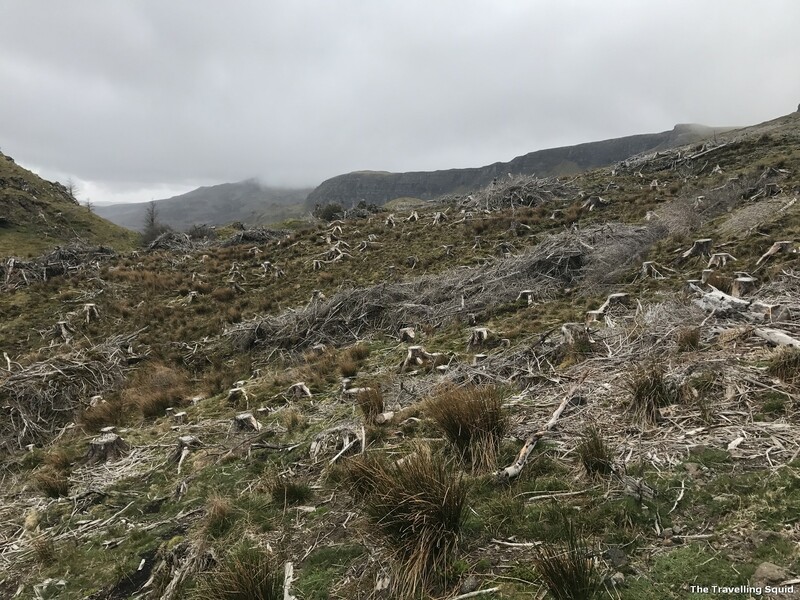 For one, the gradual removal of the trees would give surrounding wildlife time to adapt, in what has essentially become a cold and bleak landscape. Sad to see so many felled trees. But apparently it’s to bring back the native species. Does anyone have some knowledge of how the removal of ‘foreign’ coniferous trees can help local biodiversity? Do drop a comment in the box below. Thanks!